Mehr Sicherheit für deine wertvollen Daten! Cloudiax has never been closer to you! We help closing your last deals for 2016! Mastering Cloudiax - better business and more profit! How important is Return Material Authorization for your business? Successful businesses create valid, winning quotations quickly! B1 Configurator, can you do without? No, working in slow-motion isn't cool! SAP Business One for the fashion industry! Haben Sie die richtige Strategie? Machen Sie aus Ihren Kunden wirkliche Gewinner! Fünf Nägel für einen Sarg namens "On Premise"
HTML5 Client: Drei Klicks und Sie sind drin! Deutscher Mittelstand: Die Cloud auf Platz Eins! Looking for a replacement for XL Reporter? XLR is going away– and Crystal Reports is less user friendly, requires more maintenance, and is limited in flexibility for reporting. If you are going to have to make a change, shouldn’t you be upgrading to an ultra-modern reporting solution that goes beyond what you are used to with XLR? With BI360 from Solver, you get just what you’ve been asking for: Reporting, Dashboards and Budgeting in Excel or through web-based reports. 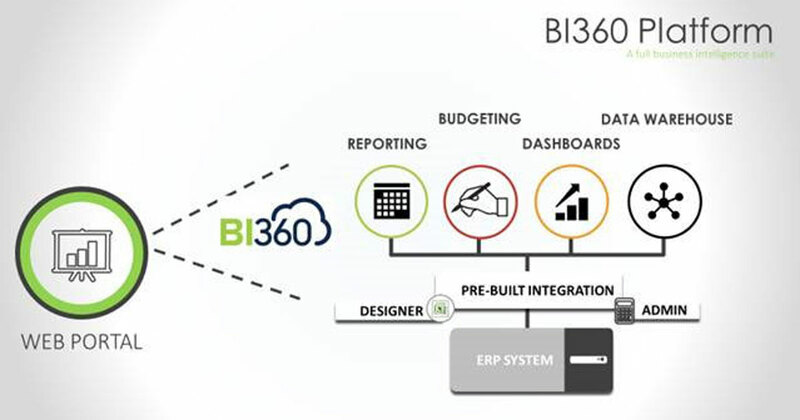 Because BI360 comes with out-of-the-box integration to many major ERP systems including 1000s of fields from SAP Business One, it only takes a fraction of the time to implement compared to other Business Intelligence solutions. When looking to upgrade your SAP B1 reporting experience, consider the following: business user friendliness, flexibility to design the reports you need, collaboration, and security. When seeking to find the right financial report writer for your company’s objectives and goals, you should evaluate what features and functions will assist you in current challenges and future issues. Solver offers Excel and Web-based reporting as a stand-alone module or as part of the comprehensive suite of BI360 modules and would be happy to answer questions and review BI360’s easy-to-use solution for collaborative, streamlined decision-making capabilities for all organizations. By partnering with Cloudiax, BI360 can now be offered to all SAP B1 customers and be sold through all partners in the Cloudiax network.